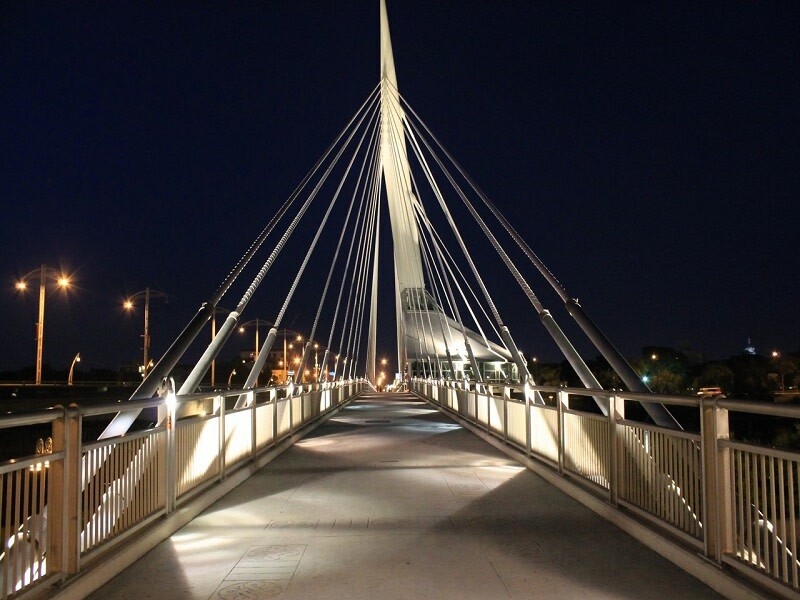 This five-metre wide and 250-metre long “people path,” is located north of the junction of the historic Red and Assiniboine Rivers, and provides a link between The Forks and Winnipeg’s French Quarter. 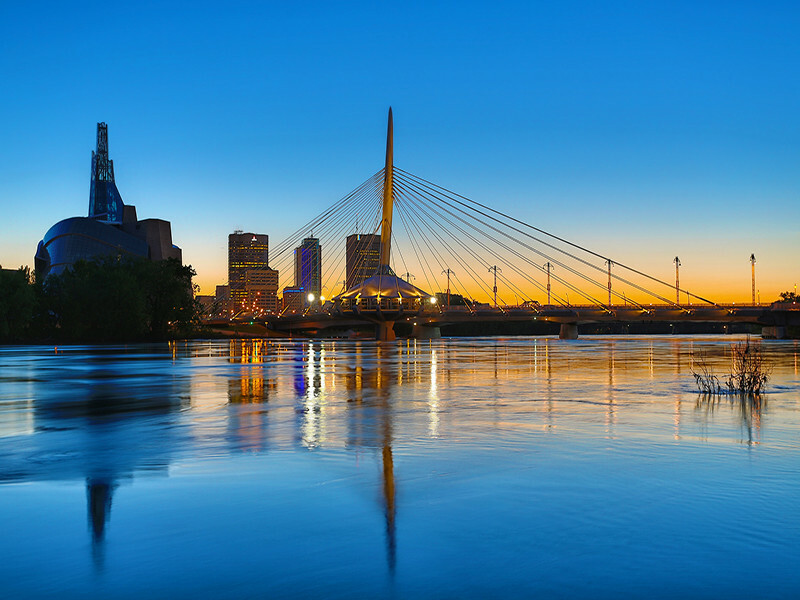 The structure, cable-stayed from a single, transversely inclined pylon rising 57 metres above the Red River, reflects the lightweight nature of its pedestrian traffic, while the spire signifies a place of meeting in the middle of the Red River. 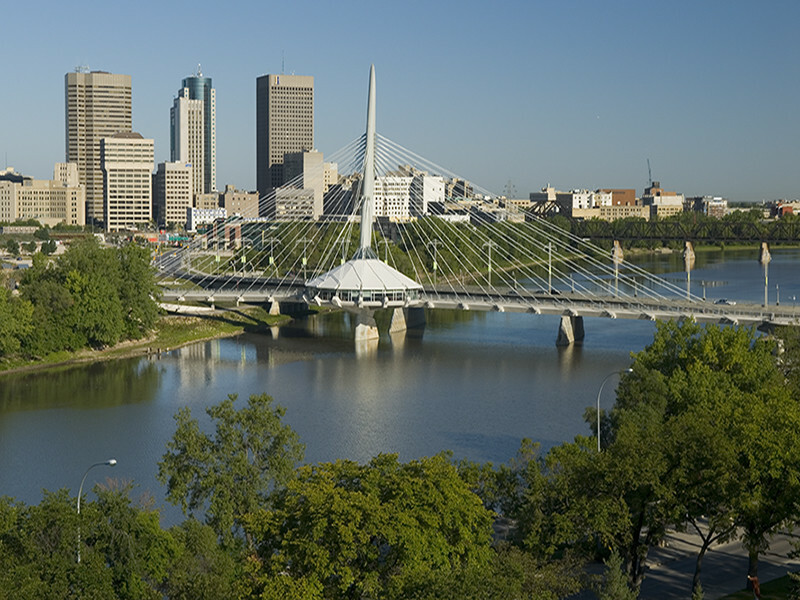 A historical diorama can be viewed from the bridge. 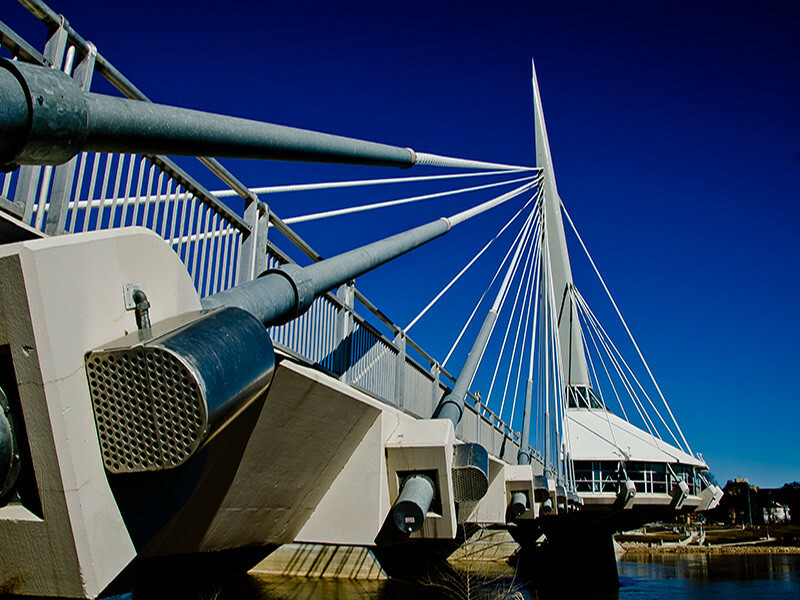 The bridge was named in honour of Louis Riel.